Ordering Online System Integrated with Zapier | +1000 Apps. Apps for sales, marketing, support, mailing, management & much more. Here are some examples of the Zaps you can create to automate your platform. Automate the email strategies you have in mind, capture leads & send segmented emails. Get all the orders printed in the kitchen, no order will get lost. Wondering how can this be done? Watch. See this example on how to integrate Google Cloud Printers. To get information in a simple & fancy way, you can use these kinds of forms, they are very easy to create, and you can sign up for free on GravityForms site, try it out. Here is an example on how to create a Business Owner using the forms. Get a voice call or SMS in your phone whenever there is an incoming order. With this notification channel, no order will get lost. Here is a sample on how to create a this integration with Twilio. Are you ready to integrate everything? Create your own zaps and automate every process in your platform. What are my Zapier credentials? 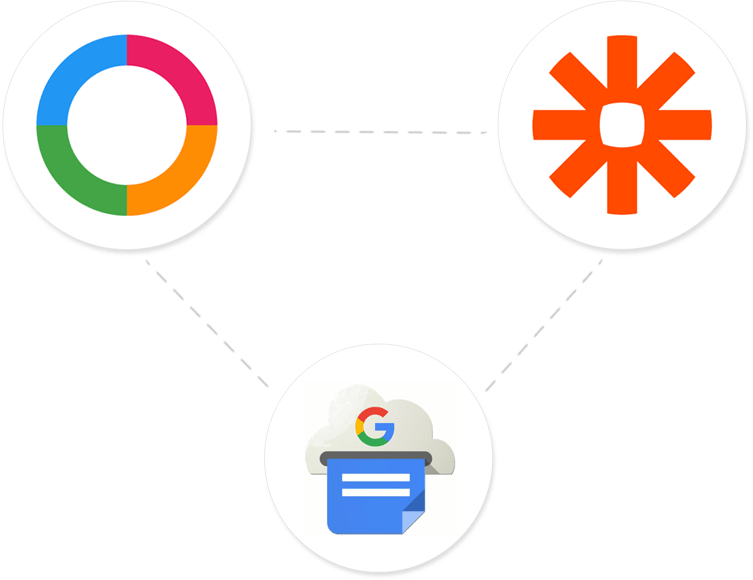 To get your credentials you have to get a Zapier account, go to zapier.com and start today. I need a code to integrate Ordering with Zapier, which one is it? Yes, please send us an email to [email protected] in order to receive the code. It depends on the plan you choose with Zapier. They have a free plan and a few others where they do charge. Visit zapier.com to find out more about their pricing plans. How can I add my new webhooks? To add your webhooks, first you have to create the Zaps inside your Zapier dashboard, then you have to go in your Ordering Editor and save it, in this tutorial you'll learn how to add it, click here to learn more. Can I add any new kind of actions with Zapier? 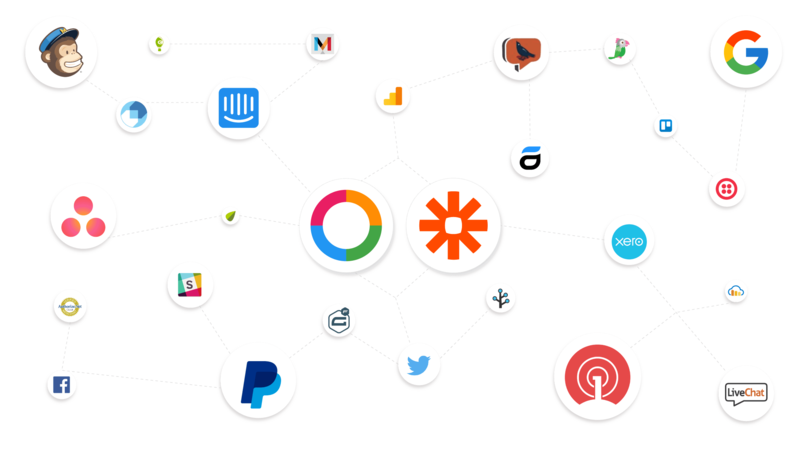 Yes, you can play with all the Apps that Zapier gives you, we are sure you are going to find the perfect fit for your business. 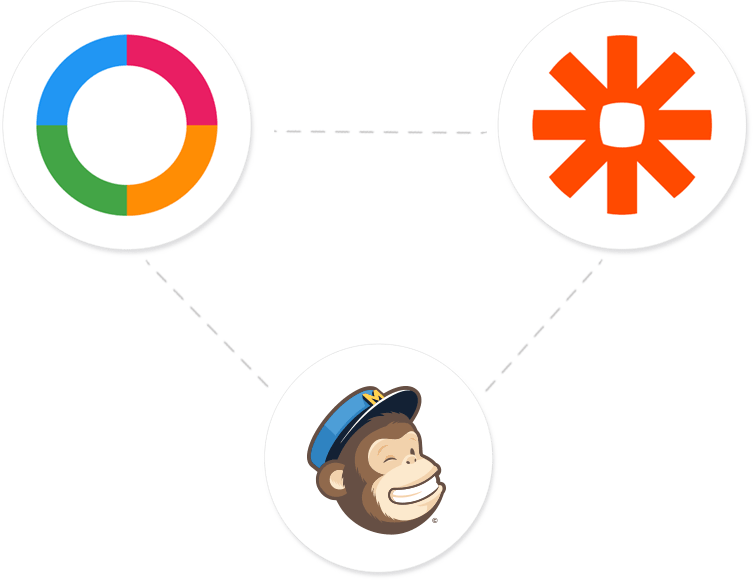 Does Ordering charge me for integrations with Zapier? Nope, the integration is already done, all you need to do is put your webhook and start using it.